Program Education is a national level program from RIDS which focuses on basic education for underprivileged children and youth RIDS believes that whether you are addressing healthcare, poverty, population control, unemployment or human rights, there's no better place to start than in the corridors of Education. Because education is both the means as well as the end to a better life: means, because it empowers an individual to earn his/her livelihood and the end because it increases one's awareness on a range of issues – from healthcare to appropriate social behavior to understanding one's rights - and in the process evolve as a better citizen. RIDS educational initiatives include Pre-school [3-6 yrs]. Non Formal Education [6-14 yrs non-school going], Remedial Education [6-14 yrs school going], Bridge Course [14-18 yrs drop-outs], Functional Literacy [18-45 yrs women] and Family Life Education for adolescent girls. Children are the future of a nation. For an emerging and developing country like India, development of underprivileged children holds the key to the progress of the nation itself. Education for underprivileged Children is the key whether we are addressing healthcare, poverty, population control, unemployment or human rights issues. Your help means a lot to this child. 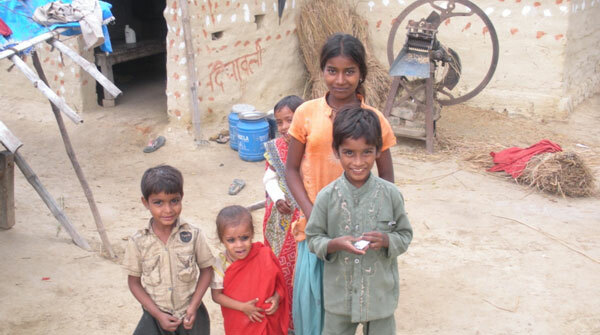 Help in the holistic development of a child by providing better access to health and education. As little as Rs. 700/- or $14 per month ensures that the child makes way to a better future. You can also keep in touch with the child through letters and become a part of the child's world! A picture and the story of your sponsored child. The Annual Progress Report to show you his/her progress. Tax benefits under Section 80G. The Chance to write to your sponsored child or visit your child, making you an active partner in your child's progress and development.